It seems like all beauty bloggers have the same dilemma at the end of each year: put all your favourites in one post or separate them by category. Emily has changed up her Emily Awards and our girl Tiffany has gone the category route too. Last year, I did the all in one thing and while I understand the need to be succinct, sometimes yuh shouldn't compromise the information you want to share. All that to say: strap in, the best of 2017 is gonna take a few posts. Since last year I've been raving about the benefits of samples and trial sizes. I mean, Sephora knows what it's doing when it offers those Favorite kits and other sets. #issatrap Before we get into the nitty gritty of 2017 Best Ofs...I wanted to tell you about the best samples - or minis - that I tried last year. This breaks down everything; including stubborn mascara and eyelash glue. Sephora used to sell this essence but it seems like they recently lost their minds. I purchased the 40 ml. (1.35 oz.) for $14USD and I should have gotten the big one when I saw it in The Grove store. Thankfully it's still available on Peach and Lily's site where the 150 ml (5 oz.) is $33USD. Their description: "Raw Sauce is a gentle toner, emulsion and essence in one that intensively hydrates and nourishes the skin. What makes Raw Sauce special is that it is made with 93% maple tree sap, skin-nourishing fructan powder (eco-cert certified), and Asian herbal and fruit extracts to achieve the appearance of more hydrated and dewier skin. Perfect for all skin types." The texture is almost gel like but it's still fast absorbing. Paired with a serum, an essence takes hydration to the next level. This is a Stephanie Nicole recommendation. I'm on my second little jar thanks to Sephora's 100 point perks. Lord knows I usually don't rate eye creams. I really think they're a scam; typically one third of the product offered in a moisturizer for triple the price. But, Bobbi like she put something in dis heyso! I'm trynna get all I can out of this 0.05 oz foil packette cause to buy this gine hurt my heart...it's tempting me though. My under eyes have never felt better than after I use this. That full size is almost done and I'm going to get another in the next VIB sale. Drama. Just how I like it. A full post will be up about this shortly. I just hope the full size is just as good. This may very well be the best product in that Discovery Kit. There's something about the texture of this product and the glow it causes. Although I always preach about never leaving home without applying sunscreen; last year I did the dastardly act a few times - quick trips only. I was wearing this serum each time though and my skin is no worse. I think. Ah boy, the one that popped my essence cherry. Belif skincare products are synonymous with hydration at this point. They're all the rave on YouTube. I've been loving it since February and it's still going. One word of caution: do not get this in your eyes. Before this, my experience with retinol has been limited to the Sunday Riley Luna Oil. The oils in that product prevent the skin from having certain harsh side effects that are typically associated with retinoid use. 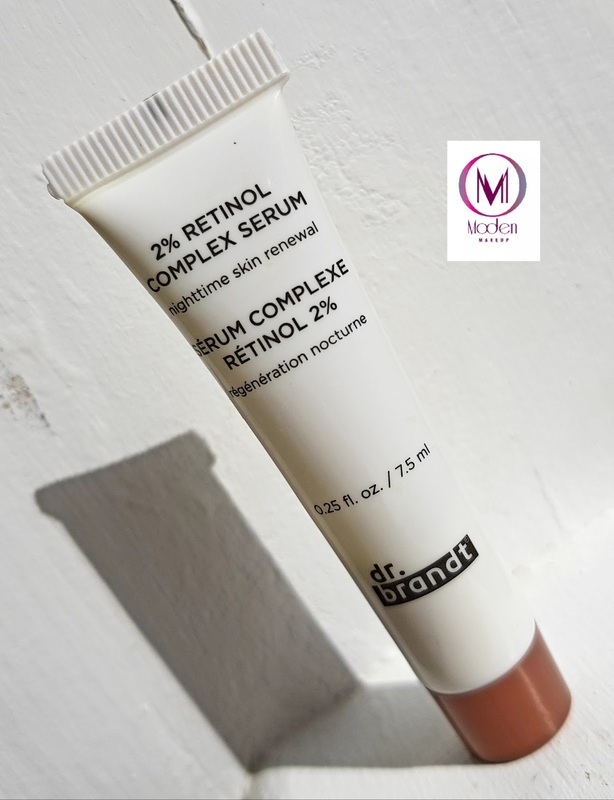 This Dr. Brandt 2% Retinol Complex Serum hey now is anudda story. I guess that's why it says "nighttime skin renewal" on the tube. After my first use I did experience some peeling. Ever since then it's been smooth sailing; literally. The full size is $69USD for 1 oz. It's worth it. "What it is: A potent yet gentle nighttime retinol serum that promotes skin renewal." I believe it. If you're an avid YouTube watcher you've probably heard about these products. 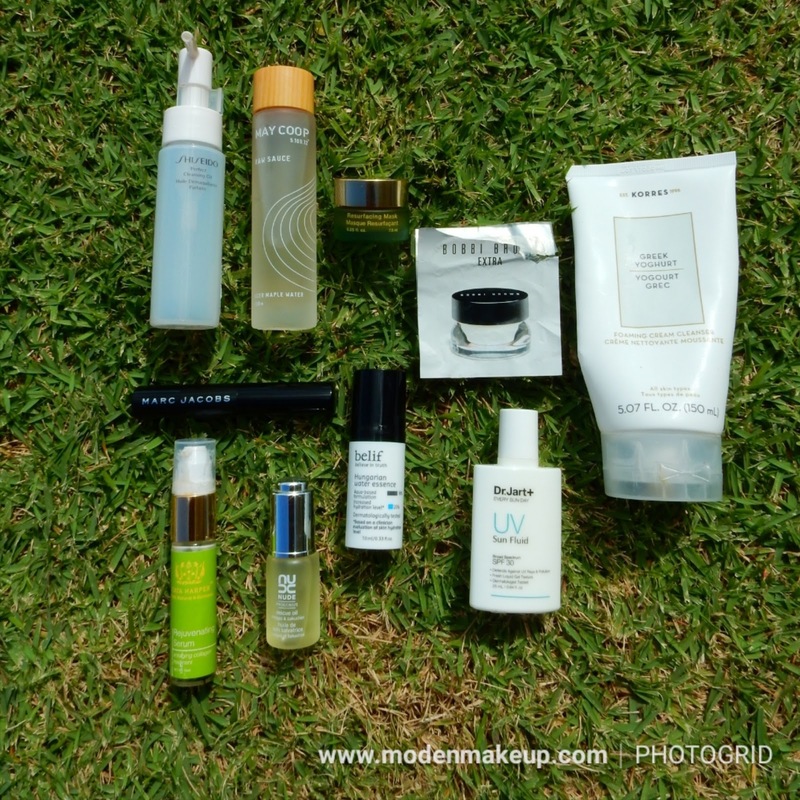 Both brands blew up on the skincare seen in short order as expensive, but effective. If you're like me you quickly began to wonder: which is better? Short answer: it depends. I've mentioned Good Genes a few times before on the blog. This 'all-in-one lactic acid treatment' is raved about by the likes of Stephanie Nicole and Caroline Hirons. *Clinically tested and proven to significantly improve the appearance of lines and wrinkles in 3 minutes. Results obtained via profilometry analysis. Corny? I know. I try. Faithful readers would have seen me rave about the Becca Ever-Matte Poreless Priming Perfector, a.k.a Face Cement, numerous times. Well, we have a dupe: The Make Up For Ever (MUFE) Step 1 Skin Equalizer Mattifying Primer. I knew it instantly. So instantly that I've used the MUFE twice and decided that it's ridiculous to keep both since they are the same. You can read all about the Becca primer in the link above so I'm just going to talk about the MUFE version here. Can you tell which is which? No? Well, neither can I.